A list can be useful lots of times and is therefore applied very often. A list view is a simple and straightforward way to display navigation items, especially when the number of items is not too extensive. 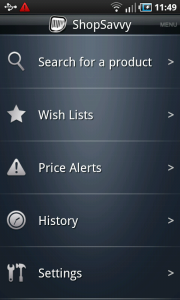 They are put in a single level, vertically scrollable list. Sub-headers that divide the items into groups can be used to make navigation easier. When you have a considerable amount of navigation items, consider using an expandable list, or a drill down. It is a straightforward way to provide navigation. User can loose his sense of overview when the list is too extensive. 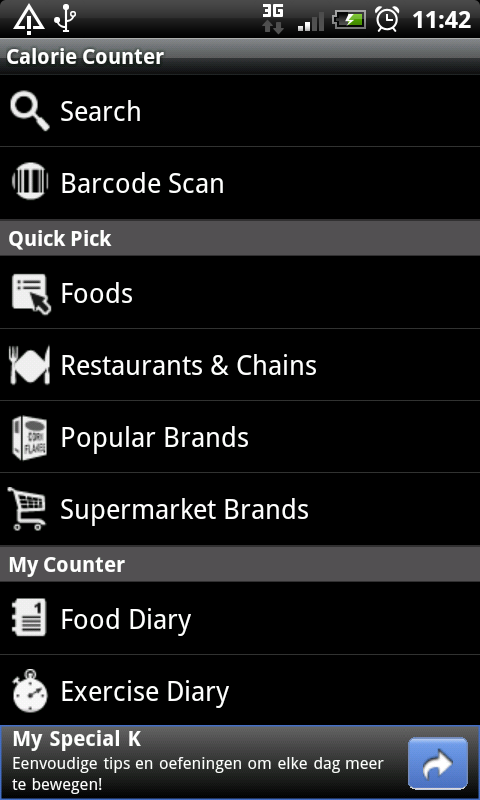 1 Barcode scanning app Shop Savvy uses a list as its home screen. 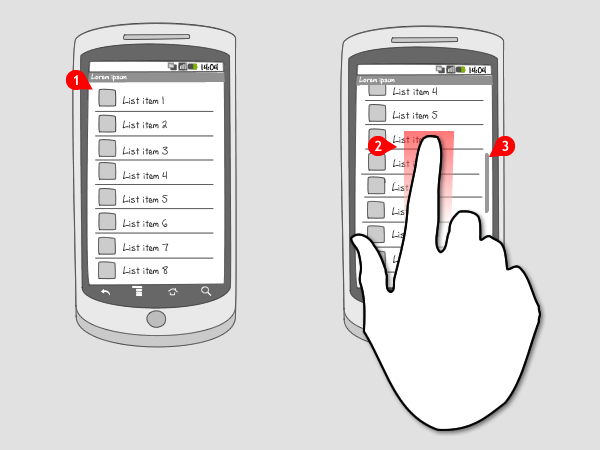 From here the user can make a choice to perform an action. 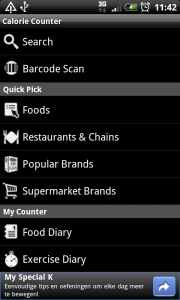 1 Calorie Counter's home screen shows actions in a grouped list, to help the user find his way.